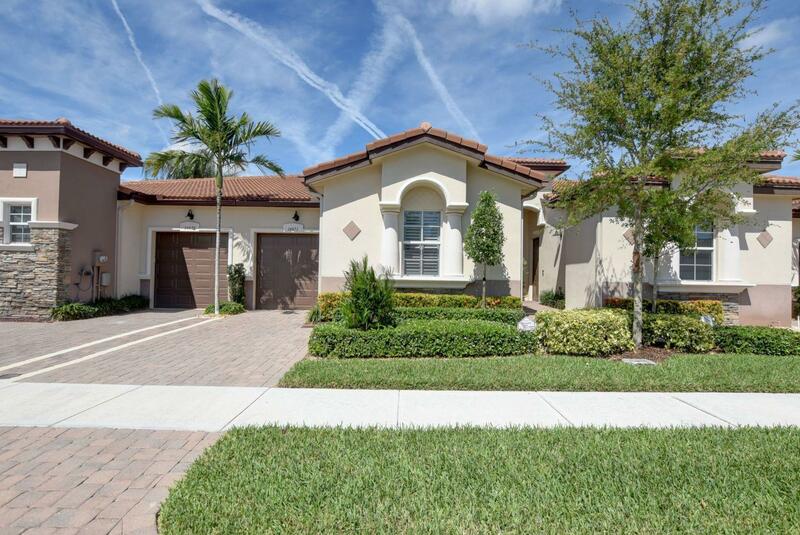 All VILLAGGIO ISLES PARCELS homes currently listed for sale in Delray Beach as of 04/21/2019 are shown below. You can change the search criteria at any time by pressing the 'Change Search' button below. "PRICE REDUCED! Beautiful 2 bedroom, 2 bath Villa with den in a very quiet location, and a one car garage with direct access to your home. No getting wet in the rain! This immaculate home has an upgraded kitchen with stainless steel appliances, 19 x 19 diagonally laid tile throughout, custom crown and base molding throughout, ceiling fans, window treatments, high hat lighting, electrically operating lanai screen, custom leaded Impact Glass front door, master bath frameless shower enclosure, and dual his & her sinks, master bedroom's upgraded closet organizer. Impact Glass windows and doors throughout making it a very quiet home with complete privacy!Villaggio Reserve is an outstanding Active Adult Community allowing residents to enjoy resort style amenities, and vibrant social lifestyle."